Junior quarterback Clayton Thorson sneaks over the goal line. That overtime touchdown helped sustain Northwestern’s lengthy winning streak, which could reach seven straight games by the end of the regular season. There’s something different about Northwestern football this fall. Even as the Wildcats put together one of their best campaigns ever, I’ve been bothered by something missing. Could it be just a typical blase senior attitude on my part? Or might I be dreading the eventual graduation of Justin Jackson? Alas, it’s neither, as much as I’d like it to be. Rather, I’ve come to the realization NU is boring. Yes, that’s right. I’m talking about the same Cats that are on the cusp of the eighth nine-win season in program history, the same Cats that have the program’s winningest quarterback and all-time leading rusher, and the same Cats that became the first-ever FBS team to play in — and win — three straight overtime games. They’re boring. This is not NU’s fault, but the circumstances the college football gods placed them in: The Cats play in the Big Ten West, a Power-5 division perpetually worse than its East counterpart. The imbalance of these divisions is almost comical at this point. In the West, teams like Michigan and Penn State would compete for the division title every year but hardly have a chance at a Big Ten championship because of Ohio State’s dominance. It’s for this reason I’m dreading the final two games of the year, which will likely be non-competitive against markedly inferior football teams. P.J. Fleck has been Ski-U-Blah in his first year at Minnesota, producing a team with just two Big Ten wins and had averaged fewer than 20 points in conference play before last week’s fluky 54-21 win over an equally mediocre Nebraska team. And Illinois will somehow be worse. The Fighting Illini have lost an embarrassing eight straight games, leaving us pondering the fate of ex-Super Bowl participant coach Lovie Smith. You’re probably right. Last month’s win over Michigan State was an objectively fun game between two good teams. The unpredictability of three overtimes and potential to beat a ranked team made for a high-stakes competition, and the students rushed the field in euphoria after the final whistle. But if we’re being honest, the Cats’ overtime wins over Iowa and Nebraska failed to get the blood pumping. The Hawkeyes’ ground-and-pound approach made for a slopfest and the game ended on a dropped pass. Furthermore, NU could have easily dispatched the Cornhuskers by two touchdowns if it weren’t for two pivotal Clayton Thorson interceptions. The Cats deserve credit for taking advantage of an underwhelming schedule and putting together a solid season. They deserve to be ranked among the top 25 teams in the country. And, given the program’s history of futility, there are probably countless alumni who counted the Cats out as soon as those Iowa, Michigan State and Nebraska games reached overtime. However, I’m left wistful for the days of last October, when they rattled off 38 points at Iowa and 54 at Michigan State, and nearly knocked off Ohio State in Columbus. 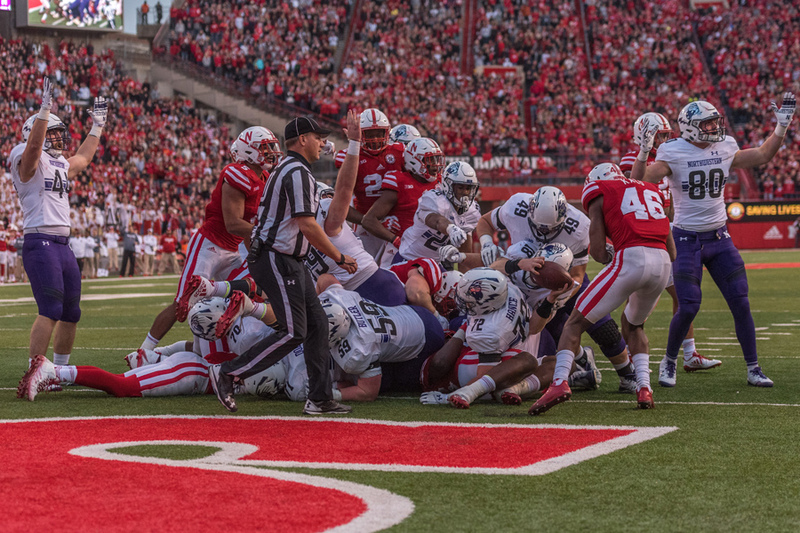 NU hasn’t played a game matching those levels of excitement yet this season, and probably won’t unless its eventual bowl game produces a similar back-and-forth affair. Until then, watching the Cats coast through November won’t excite anyone.